The opening credits of Crazy Rich Asians perfectly set the stage for how you will feel for the next two hours while watching this film—bright, bold and effervescent. Based on Kevin Kwan’s bestselling (and really enjoyable) 2013 novel, this trip to visit Singapore’s elite is one you won’t want to miss. Rachel Chu (Constance Wu) is a successful economics professor who grew up in New York City with her hardworking single Chinese mother. Not only does Rachel have a fantastic job, but she has fallen in love with Nick Young, a gorgeous man from Singapore who rarely speaks about his life back home. When Nick invites Rachel to travel with him to Singapore for his best friend’s wedding, Rachel jumps at the chance to learn more about her boyfriend’s life and meet his family. Most people keep their home life quiet when there’s something embarrassing to conceal, but it turns out that Nick’s secret is way more fun—he’s rich and not just wealthy but “Lifestyles of the Rich and Famous” rich. Rachel gets her first taste of this at the airport where she and Nick fly first class in their own cabin during the flight. Not only is the Young family wealthy, but Nick is practically considered royalty in Singapore and he’s the Chinese version of Prince Harry (pre-Meghan Markle of course). Rachel takes this news in stride until she meets Nick’s mother Eleanor (Michelle Yeoh). Eleanor has high expectations for her beloved son and marrying a commoner from America is certainly not a part of her plan. Eleanor expects Nick to return to Singapore to take over the family business one day and find an appropriate well bred Chinese-born wife to be by his side. Even though she herself was once considered unworthy to be part of the Young family, Eleanor has no qualms about letting Rachel know that she is not good enough or suitable to be Nick’s wife. While Eleanor is technically meant to be the “villain” in Rachel and Nick’s love story, her character is actually quite fascinating and so much more. Most people would see Rachel’s story of a girl who pursued her passion to become a successful professor inspiring. Eleanor actually sees the American goal of following your passion as a weakness and instead puts obligation to family as a far greater goal. While I might not agree with all of her tactics, she does have a point about the importance of family. This Tiger Mom may not always do the right thing, but her devotion to her son is still obvious. Luckily, Rachel has an ally in Singapore with college friend Peik Lin Goh (Awkwafina) and her nutty new money family (a hilarious Ken Jeong plays her father) who help Rachel in her quest to win over the Young family. Nick’s cousin Astrid (Gemma Chan) also lends Rachel a hand even though she herself is struggling with the strains of her family’s wealth and status in her own marriage. 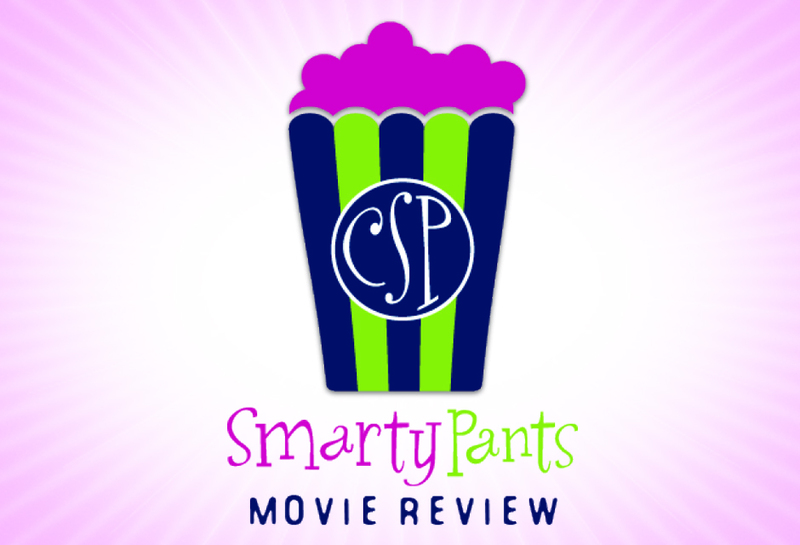 From the winsome Constance Wu creating such a likeable protagonist to the fierce icy coolness of Michelle Yeoh and the hilarious turns by Awkwafina and Ken Jeong, the actors are all perfectly cast. The fact that this is the first time in 25 years that an all-Asian cast is being featured in a non-martial arts movie is certainly significant and way overdue. With a cast this gorgeous and talented, I have to wonder what took Hollywood so long? 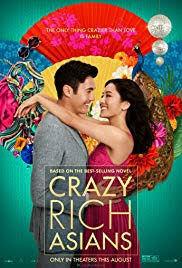 If the romance between Rachel and Nick isn’t enough, the other love story in the film is director Jon M. Chu’s lush depiction of Singapore. The city/country/island is a stunningly beautiful and completely fascinating location. One delightful scene where Nick introduces Rachel to the street food hawker center made me not only hungry but wishing to book a ticket to visit this beautiful place. So if you enjoy beautiful and exotic locations, lovely romances, lavishly expensive parties, beautiful people and a chance to see how the uber-rich live for a little while, this end of the summer delight is perfect for you.